Post an Programmer here too! What's the change from uor previous ultra pic programmer in this extreme!....? Whats the Craziest Project u have done lately...? Nice programmer. which software support for programming? Re: Low cost pic programmer - JDM Extreme! maybe it could help if you share here your work! i have build jdm2 programmer.i programmed pic16f84a,pic16f628 and 12f675 with it.it works fine but it supports very short icsp cable.only 3 inch.why? Works with F628A and F84. Haven't tried other PICs as I don't have them. Extreme programmer is working for me on my desktop. Of course my laptop which only makes 5v on RS-232 fails. Epic Plus programmer is the best solution if you need simple and 100% good and extra low cost. OK you may have your own meen and maybe for you JDM is good it's ok.
Best regards to you and all friend's. how can we convert it to work with usb? what's the newest update mates? some guys complained that jdm is not working. 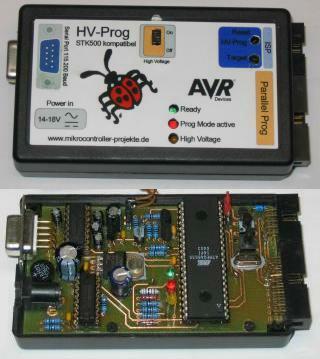 I also tried this programmer but i depends on voltage available from serial port. some serial port can't supply exact 12 volt. it causes a problem. If voltage on serial port are stable and enough for vpp than it works fine. 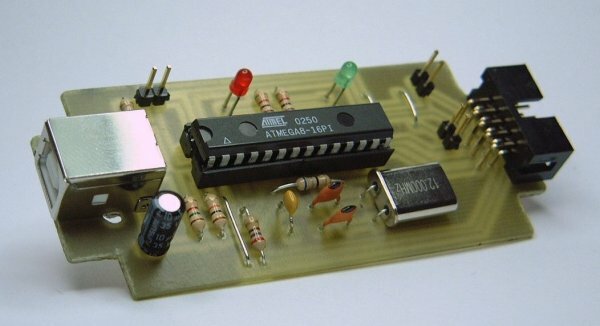 What ever style of PCB JDM is a good programmer and is established among hobbiests. Now the things are changed! It is the laptops and new destops are not at all equipped with a serial port. Still I amit the fact that we are all expertised with JDM - my tribute to the grand father!! is it possible to use one zif socket instead of 2 ic sockets by using extra switch or some other way ? Hello Embromation, yes i have the latest version of software and firmware. Wen i program the first time a pic16f628a works fine, but in the second time i have an error in the program memory, i tried with "erase" an "remove cp" buttons and then blank check and the pic is not in blank. I found that the Microchip's PICKIT2 seems to be the best PIC programmer for Hobbyist. and, how is this for an extra..
it is also a logic analyser!! It is about $49 USD but if you want to built them yourself, there is enough info and firmware freely available from Microchip. I think this one is a winner for PIC. I have a 8Pr5, I am using transistor 2N3904 and 2N3906 in substitution of BC338-25 and BC328-25 and I tested with a 2N3904 and a BC549 instead of BF959 transistor. It works fine with the following PICs: 16F876A, 16F877A, 16F819, 18F2550, 18F4550 and 18F452. But i Have problems to erase or reprogramm 16F628A and 18F1220, also I don`t know how to programm 12F675. I tryed mainly with PIC16F628A, the first is ok but the next time i Have error, i tried to erase pic but no is possible. There is an atachment with the information. My Brenner is able to program PIC16F628A. I am using transistor 2N3904 and 2N3906 and coil 680uH. the instructions are in spanish but there you can see the schematic,you will understand, It works with ic-prog perfectly, enjoy it! This is anmother version of JDM programmer, maybe you will have problems because it uses PC voltage. IMHO It is possible to use the JDM programmer in a laptop pc. My buddy modded his JDM programmer, so it can be supplied w/ 12volts from a DC adaptor.